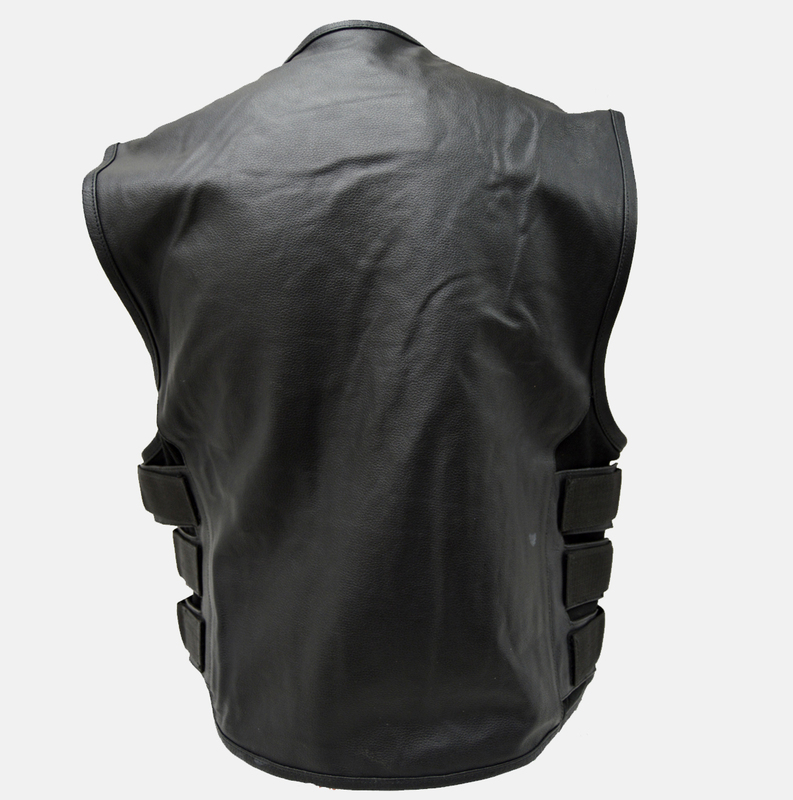 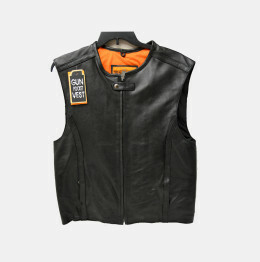 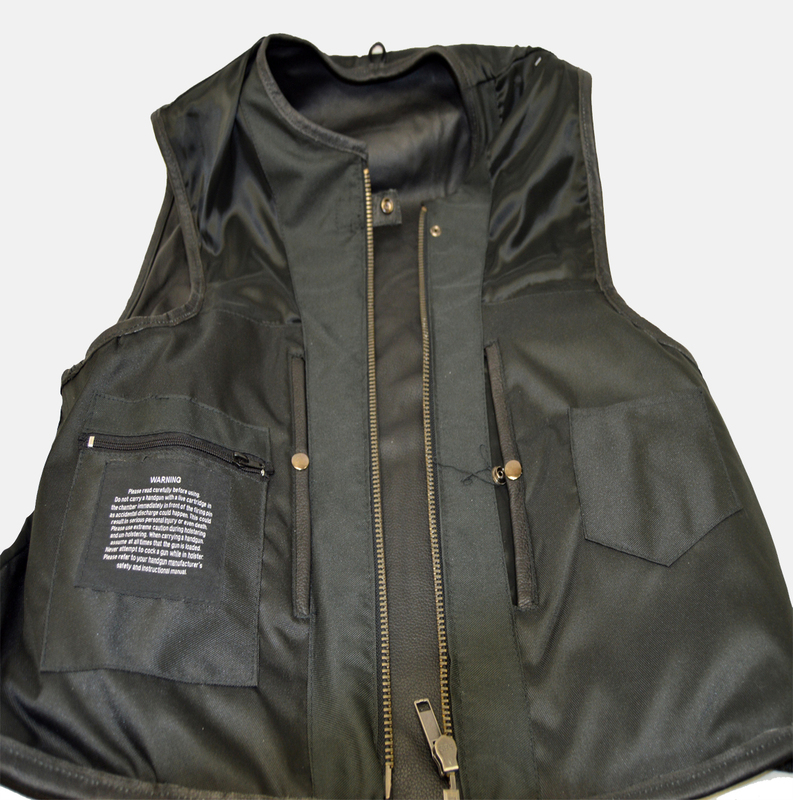 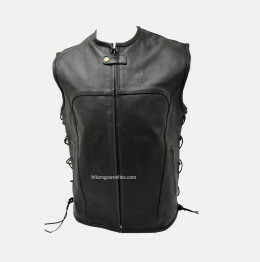 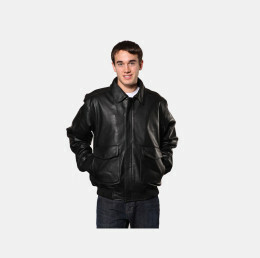 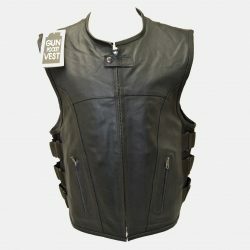 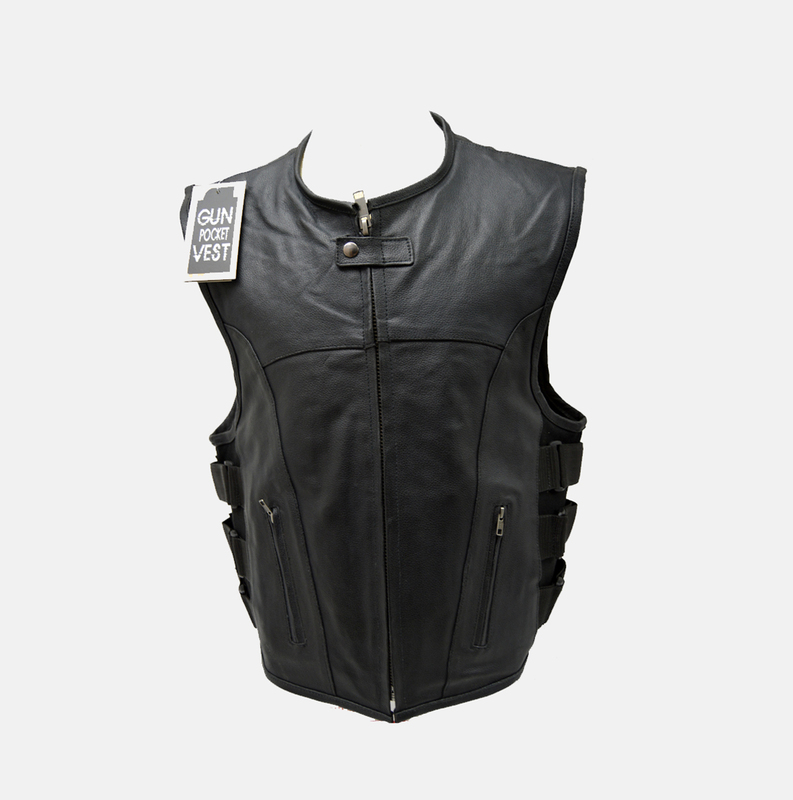 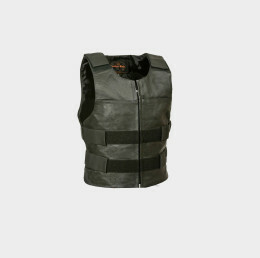 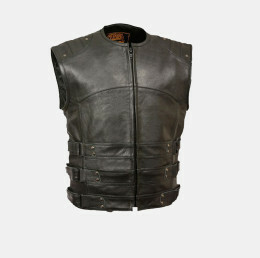 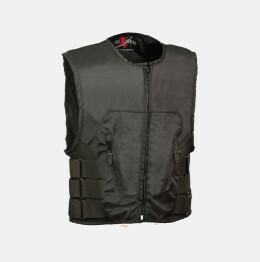 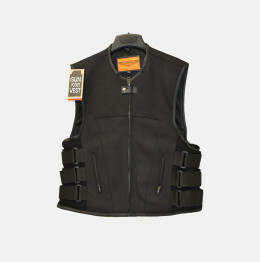 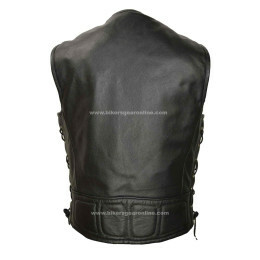 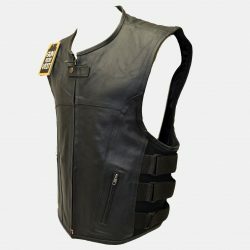 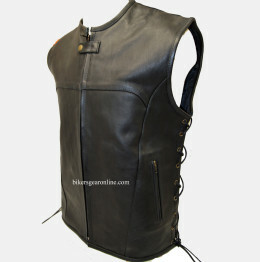 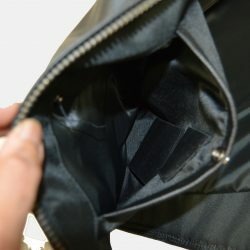 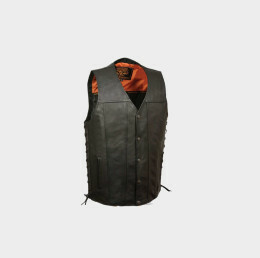 On this men’s leather vest you can easily adjust the velcro straps on the sides, but that is not all this leather vest features. 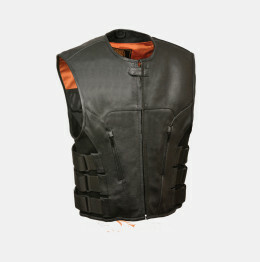 It also features neoprene sides for better fit while riding or hanging out. 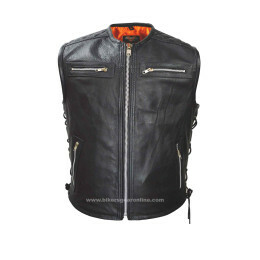 Split Cowhide Leather Vest 1.1-1.2 mm. * 2 inside Gun pockets, one zippered one snap closure.